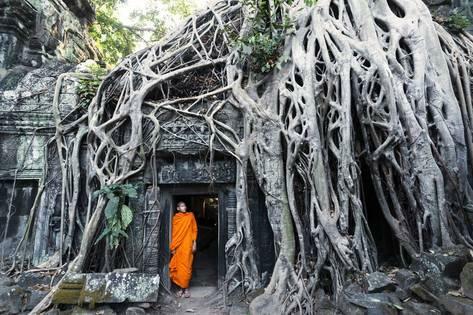 Cambodia is a tiny country with an epic history. The past couple of decades have seen Cambodia emerge from its troubled past to reclaim the title: “Pearl of Asia”. Despite its dark history, visitors to Cambodia will find it to be one of the friendliest, most accommodating travel destinations in the world. It goes without saying that the centerpiece of any trip to Cambodia is a tour of the magnificent temples of Angkor outside of Siem Reap. Further south, Phnom Penh is a city in flux, undergoing a remarkable makeover in recent years with manicured gardens and new restaurants and cafes sprouting up every day. 7 Jan 2019 7 Jan 2019 Victory Day All over Cambodia Held on January 7th, this day celebrates the start of the fall of the Khmer Rouge, when on the same date in 1979, Vietnamese invaders stormed Cambodia. They eventually took back power from the genocidal Pol Pot-led regime on April 17 after four years of brutal reign.It is commemorated with a remembrance parade and service at Independence Monument in Phnom Penh. 19 Feb 2019 19 Feb 2019 Meak Bochea Day All over Cambodia This Buddhist festival is celebrated across the region during the full moon of the third Khmer lunar Month (Meak) – this year on January 23rd. It is also referred to as Buddha’s Preachment Commemoration Ceremony. Meak Bochea celebrations start early, with offerings being given to monks. In the evening, people flock to the temples to listen to preachings, and perform a candle ceremony. Here, they walk around the temple three times with flowers, incense and a candle. Each circuit represents one of the ideas of Buddhism – Buddha, Dharma and Sangha. 14 Apr 2019 16 Apr 2019 Khmer New Year Day (Choul Chhnam Khmer) All over Cambodia This is one of the largest celebrations in Cambodia. The annual celebration falls on either April 13th or 14th and spans three days to mark the safe collection of the harvest and the welcoming of the rainy season. 13 May 2019 15 May 2019 Royal Birthday of the King Sihamoni All over Cambodia A two-day holiday is held every year to mark the birthday of King Norodom Sihamoni on May 14th, who took over the throne on October 29th 2004. Many businesses and homes will put up his picture to mark the day. 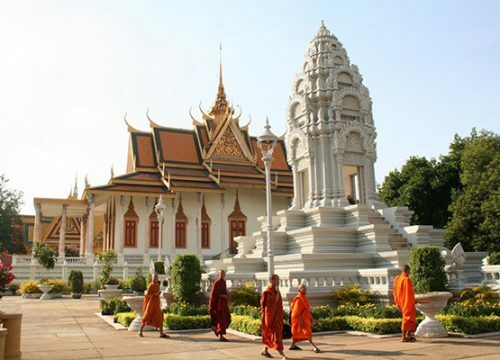 20 May 2019 20 May 2019 Day of Remembrance All over Cambodia Earlier this year, an additional public holiday was added to Cambodia’s calendar in the form of the Day of Remembrance on May 20th. This marks the start of the mass killings by the Khmer Rouge regime on May 20, 1976. 22 May 2019 22 May 2019 Royal Ploughing Day All over Cambodia This annual event – Pithi Chrat Preah Neanng Korl – harks back to tradition and is considered an ancient royal rite. As well as officially marking the start of the rice growing season, it was seen as a way to forecast the weather and determine the harvest ahead. 27 Sep 2019 29 Sep 2019 Pchum Ben Day All over Cambodia Kind of the Cambodian equivalent to Halloween, this is another major religious celebration across the country, so expect a similar evacuation of urban centres, business closures and increase in prices to Khmer New Year. 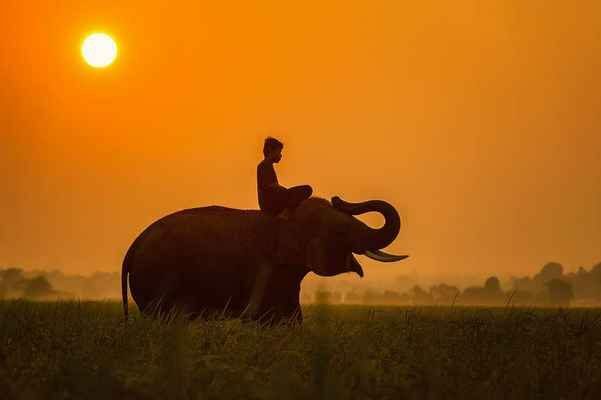 Also called Ancestors’ Day, this is a time when Cambodians believe the last seven generations of deceased relatives who are unable to pass onto their next life come back to roam Earth. 15 Oct 2019 15 Oct 2019 Commemoration Day of King Norodom Sihanouk All over Cambodia When King Norodom Sihanouk died on October 15th 2012, shockwaves rippled across the country at the loss of the former King, who abdicated in 2004 and passed on the crown to his son. The country went into 100 days of mourning and the loss is still marked today with a public holiday. 23 Oct 2019 23 Oct 2019 Paris Peace Agreement Day All over Cambodia October 23rd marks the day that the Paris Peace Accords were signed in 1991, signifying the official end of decades of conflict. It also led to the deployment of the first post-Cold War peace-keeping mission, the United Nations Transitional Authority in Cambodia (UNTAC). 09 Nov 2019 09 Nov 2019 Independence Day All over Cambodia A public holiday to celebrate the Independence of Cambodia as a free country. 10 Nov 2019 12 Nov 2019 Water Festival and Moon Festival and Boat Racing All over Cambodia Another hugely celebrated holiday is the Water Festival or Bon Om Touk, which runs across three days and varies depending on the lunar calendar. The festival marks the reversal of flow between the Mekong and Tonle Sap rivers – an anomaly unique to the country. During rainy season, the Tonle Sap River swells due to the heavy volume of rain, pushing water into the Tonle Sap Lake, which then expands up to 10 times its size. Water Festival marks the end of the rainy season, when the flow switches directions. It is also a way for Cambodians to thank the rivers – the country’s lifeblood – for providing them with water for fertile farming land and fishing.